Properties in La Plata County average 4.7 out of 5 stars. 2BR Durango Farmhouse w/ Screened Gazebo! Property 52: 2BR Durango Farmhouse w/ Screened Gazebo! Historic Luxury Home - Walk to Downtown! Property 55: Historic Luxury Home - Walk to Downtown! Natural High is Stunning with 3 bed., 2 bath, waterfront and private! Property 57: Natural High is Stunning with 3 bed., 2 bath, waterfront and private! Hip, comfortable 3 bedroom house just a few minutes walk to downtown Durango. Property 59: Hip, comfortable 3 bedroom house just a few minutes walk to downtown Durango. 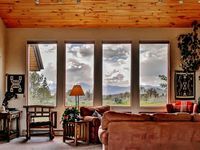 Durango Retreat - Best of Both Worlds - b/t Historic Downtown and Durango Mtn. 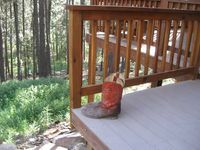 Property 60: Durango Retreat - Best of Both Worlds - b/t Historic Downtown and Durango Mtn. Picturesque Durango House w/ Patio & Mtn. Views! Property 63: Picturesque Durango House w/ Patio & Mtn. Views! Million Dollar Views on Lake Purgatory! Only 1 Mile to Ski Resort! Lower rates! Property 64: Million Dollar Views on Lake Purgatory! Only 1 Mile to Ski Resort! Lower rates! 4 bedroom, 2.5 bathroom, home nestled in the mountains with amazing views! Property 76: 4 bedroom, 2.5 bathroom, home nestled in the mountains with amazing views! A little corner of heaven in the heart of the mountains of Colorado. Property 77: A little corner of heaven in the heart of the mountains of Colorado. Brand new cabin w/ lovely lake & mtn views - close to town, hiking, & more! Property 78: Brand new cabin w/ lovely lake & mtn views - close to town, hiking, & more! Beautiful, dog-friendly home w/ large private hot tub - minutes from Durango! Property 80: Beautiful, dog-friendly home w/ large private hot tub - minutes from Durango! Remodeled Victorian in downtown Durango w/ backyard w/hammock & covered patio! Property 92: Remodeled Victorian in downtown Durango w/ backyard w/hammock & covered patio! Durango Rock House - WILDLIFE! Property 95: Durango Rock House - WILDLIFE! Turtle Lake Ranch House with Private Family Owned Lake! Property 99: Turtle Lake Ranch House with Private Family Owned Lake! Great time, very nice place! We enjoyed this home. It was clean, very nice. Owner was friendly and very helpful/accessible. Also, beautiful views and location close to town (15 minutes). Wouldn't change a thing! Wonderful home and overall experience! This home was perfect for our family. Very roomy, clean and had everything we needed to make for a wonderful time in Colorado. Stanley and his wife were very accommodating and friendly! Can not recommend enough!! !